“The owner of a restaurant named after Adolf Hitler said Thursday he will change its name because it angered so many people. 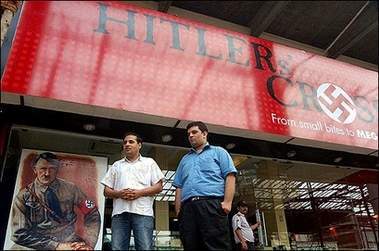 “A NEW restaurant in India’s financial hub, named after Adolf Hitler and promoted with posters featuring the Nazi leader and swastikas, has infuriated the country’s small Jewish community. “We are not promoting Hitler. But we want to tell people we are different in the way he was different,” Punit Shablok said. The first thing I thought of when I woke up this morning was Lorne sausage and black pudding, despite the fact that I haven’t eaten either for years. 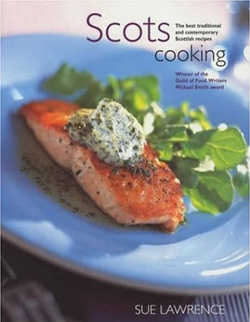 The reason for thinking about them was obvious – I recently re-discovered ‘Scots Cooking‘ by Sue Lawrence. After leaving it unread on my bookshelf for more than five years I’ve started eating my way through the recipes. Despite a couple of attempts at ‘learning to cook’ over the last couple of years I still eat out most nights of the week (i.e. 6 out of 7). Most cookery books I’ve read have left me unexcited and unmotivated – I simply find the dishes unappealing. ‘Scots Cooking’ is different. There are over 120 recipes and almost every one is both simple and deliciously enticing. So far I haven’t got much further than the ‘breakfast and preserves’ section so it’s been breakfast pankcakes, scrambled egg and cold smoked venison and, of course, black pudding (I still haven’t found a butcher in Amsterdam that sells decent Lorne sausage). Future treats include stovies, Musselburgh pie (made with rump steak, oysters and onions) and, of course, tablet. This is not delicate food and all the better for it. The book is written in a clear and informal style. The recipes are straightforward, well laid out and usually prefaced with an interesting and informative anecdote from the author. Finally, I might learn to cook after all.